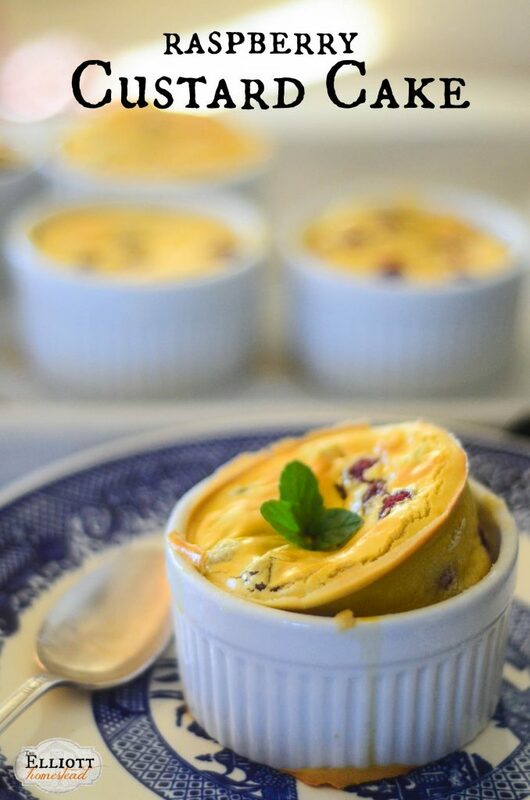 So, my apologies in advance, because you may notice that (once again) this “dessert” recipe focuses on two ingredients: eggs and cream. What can I say? I’ve got laying hens. And a dairy cow. And guess what goodness they offer up to me each day? No really, guess! Wasn’t that a fun game? The answer was eggs and cream. 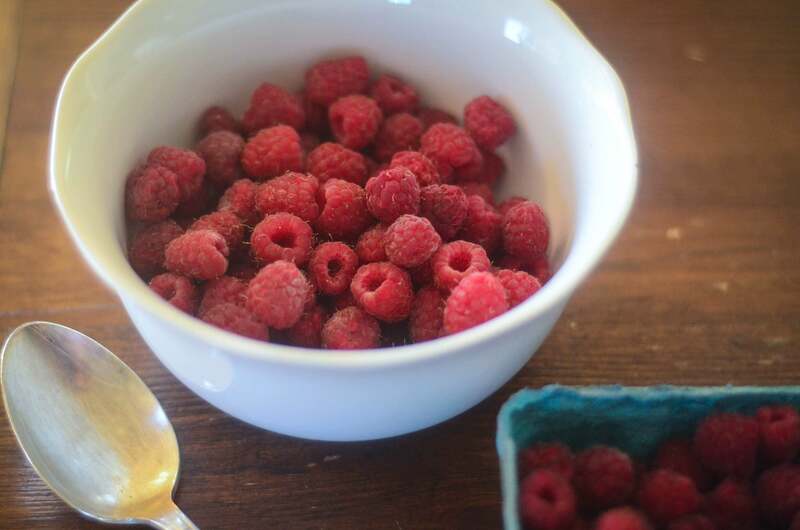 Couple that with the flat of organic raspberries that I brought home from my neighbor/farmer/friend and the dessert sort of just… made itself. It just happened. I have no defense. And in defense of my friend fat, I eat a lot of it. All day every day. Because it’s goooooood. And it’s good for me. 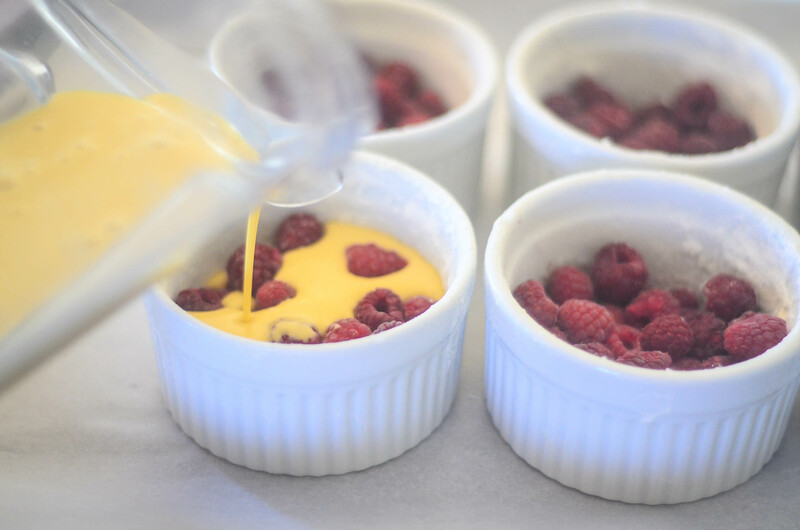 In this case, in the form of a fantastic raspberry custard cake recipe. So if anyone emails me to say ‘Shaye! 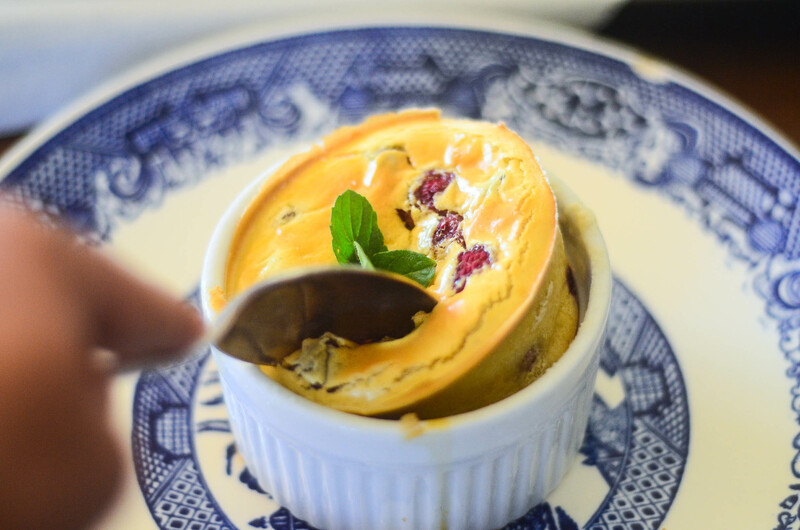 But that dessert is so full of cream and fat and eggs and all things horrible for you!’ I shall mail you a pound of butter so that you can see for yourself the amazing healing, nurturing, deliciousness of fat. Just kidding. I would never do such a thing. I cling to every tablespoon of butter that I make like another pound isn’t coming the next day. Perhaps I need to work on my sharing skills. 2. 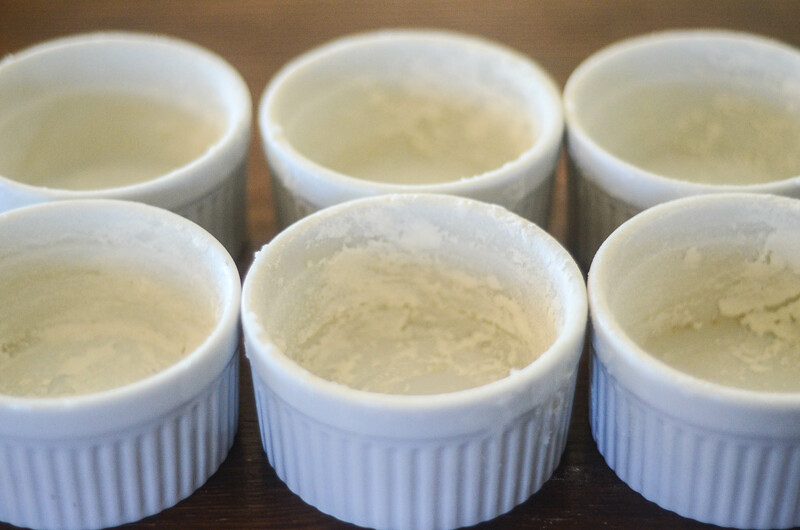 Butter six ramekins with your fingers, then dust lightly with flour. 4. In your super cool Vitamix (or a bowl… but it’s not nearly as fun) combine the cream, flour, rapadura, maple syrup, eggs, and sea salt. Mix, mix, mix, mix for about 1 minute on low (in the blender) or 2-3 minutes if whisking by hand. 6. 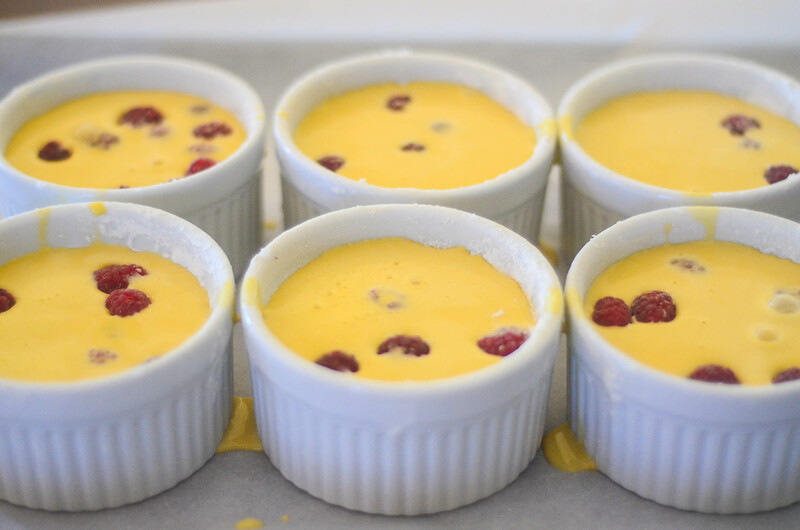 Bake for 30 minutes until the tops are just barely golden and the middle of the custards are still slightly jiggly. Like a pregnant woman’s thighs (points to self again). 7. You can eat them hot. You can eat them warm. You can eat them cold. You can eat them with whipped cream. You can eat them with yogurt. You can eat them with a delicious frittata. You can eat them for dessert. You can eat them for breakfast. You can eat them while you’re milking your cow because you’re cray cray hungry and you need calories in any form that you can possibly get (points to self a third time). 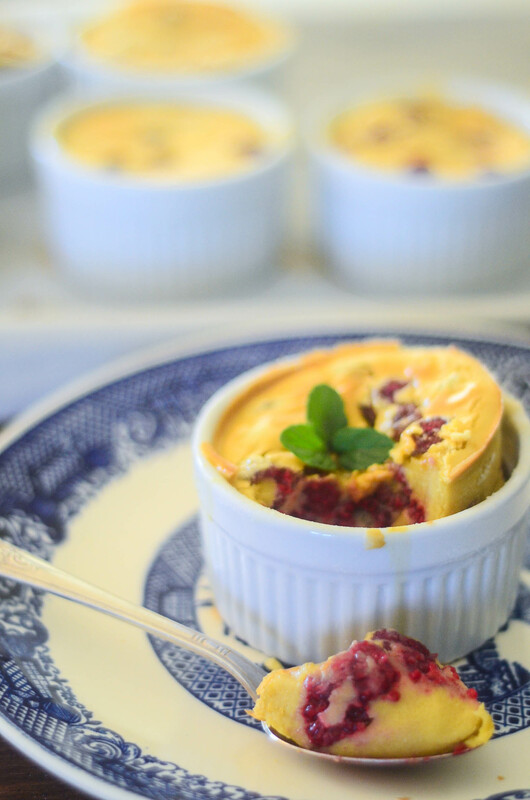 These raspberry custard cakes whip up in just a few minutes and are so, so, so, SO, SOOOO delicious. I did that progression of ‘so’ so that you could understand my enthusiasm for this dessert. It’s arguable in my top five EVER. And that’s say something for this hungry Mama. Get it while the berry gettin’ is hot! I am so making this with blueberries! YUM! Can I eat them in a box? Can I eat them with a fox? These looks heavenly-I’ll have to give them a try ASAP! So entertaining….love it! I am making with cherries! Ooh! Those look like popovers! 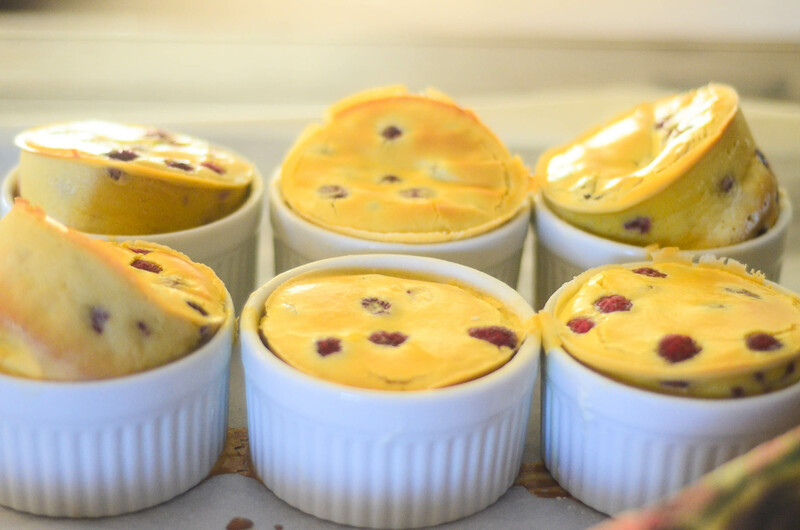 Fruity popovers! I might need to try them with cherries sometime. Tried out the custard cake. Delicious. Made it with Blackberries. Love your blog. Lill, my entire family comes from Norway! Glad to have you here! Is it normal for them to deflate while they’re cooling? Mine did but they still tasted really good. Shaye what do you think about making it in a bigger dish? I don’t have ramekins. I’ve made it in a cake pan multiple times and it’s turned out FANTASTIC! and slices up beautifully. Do you need to increase the baking time for the large pan? Also, does this need to be cooked in a water bath? Thank you, I’m really enjoying your blog. Yes to the larger pan baking time – keep an eye on it until it’s just slightly jiggly in the middle still. And no, no water bath required! I made this for dessert the other night, DELICIOUS!!! Thanks for the recipe! I have blueberries on the fridge and inlaws to impress. Since my son doesn’t care for blueberries, I think I will make his with chocolate chips!! Can I use an equal amount of sugar for the Rapadura? Thanks! I haven’t ever tried this recipe with white sugar. Shaye, This is a treat my husband loves! And, he doesn’t like desserts . Much. It has been made so many times, I’m thinking of posting it on the back of my kitchen cabinet door. I made this with sliced black plums. Whew, next in favorite to the raspberry. Very good! Do you think that these would work with canned raspberries? It’s wintertime and that’s all I have. I probably could go to the store to get some, but…. I have lots of raspberries that I canned this summer. Yep! Give it a try! 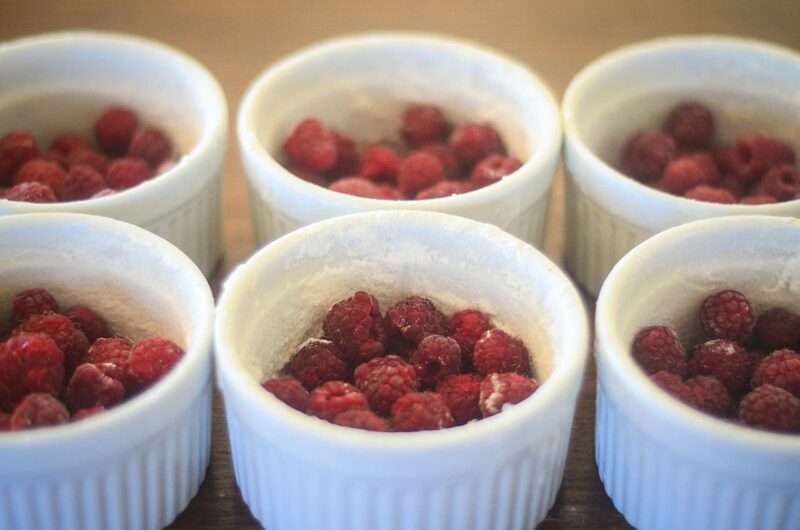 Can you use frozen raspberries? Or would it not turn out the same? Thanks! Looks amaaaazing. Can’t wait to try it!!! Should I use both the egg whites and the yolks? The recipe calls for 6 “eggs” so I’m trusting that I use both the whites and the yolks, but I just want to verify because, well, I’ve never made a custard cake before. 🙂 Thanks! Thank YOU so much for the reply! And, so quickly too! 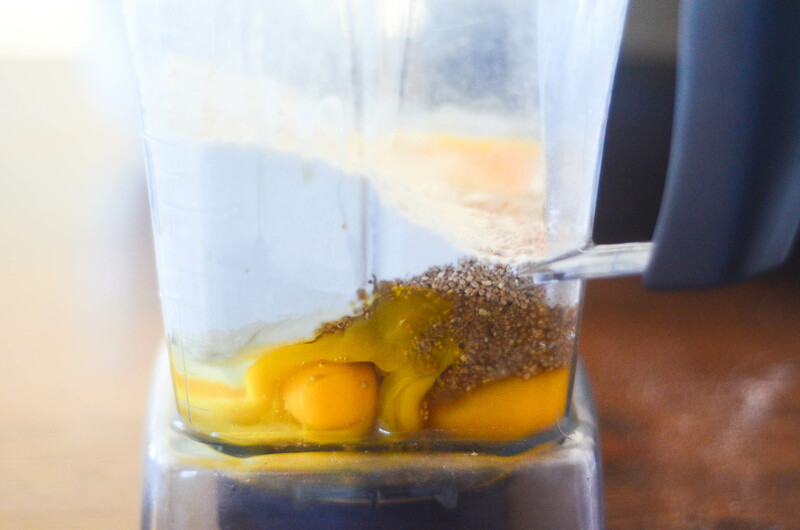 I was actually hoping it was just the yolks because of all the goodness in those little yellow things – raw or not. YUM! I Have made this recipe many times with whole eggs. Turns out great! I’m so excited to have a recipe that will use my eggs and the fresh blueberries in my orchard! Been waiting a month for more since I ran out of the mine from last spring (in freezer). Can’t wait to try it! Thank you for this recipe. These are amazing Shaye! So simple and not overly sweet. I think I’ll try it with some lemon next time for another variation.